Michael Parker is an e-discovery attorney who manages the Electronic Discovery & Litigation Support Department at Herrick. He has substantial experience in all matters related to electronic discovery and litigation. In addition to managing the Electronic Discovery & Litigation Support Department, Michael regularly advises attorneys, paralegals, staff and clients on all facets of e-Discovery, document review management, litigation support technologies and discovery issues. 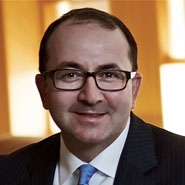 Michael also teaches Electronic Discovery as an Adjunct Professor at Rutgers Law School in Newark, New Jersey and is also a member of the Sedona Conference Working Group One (Electronic Document Retention and Production). Prior to his career in law and e-discovery, Michael owned a successful private business involving commercial printing and dimensional packaging in the TriState area. Michael is admitted to practice in New York and New Jersey.